The philosophy of education examines the goals, forms, methods, and meaning of education. The term is used to describe both fundamental philosophical analysis of these themes and the description or analysis of particular pedagogical approaches. Considerations of how the profession relates to broader philosophical or sociocultural contexts may be included. The philosophy of education thus overlaps with the field of education and applied philosophy. For example, philosophers of education study what constitutes upbringing and education, the values and norms revealed through upbringing and educational practices, the limits and legitimization of education as an academic discipline, and the relation between educational theory and practice. Inscribed herma of Plato. (Berlin, Altes Museum). On this premise, Plato advocated removing children from their mothers' care and raising them as wards of the state, with great care being taken to differentiate children suitable to the various castes, the highest receiving the most education, so that they could act as guardians of the city and care for the less able. Education would be holistic, including facts, skills, physical discipline, and music and art, which he considered the highest form of endeavor. 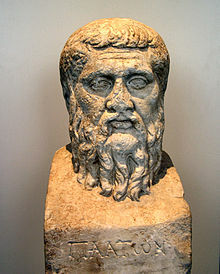 Plato believed that talent was distributed non-genetically and thus must be found in children born in any social class. He built on this by insisting that those suitably gifted were to be trained by the state so that they might be qualified to assume the role of a ruling class. What this established was essentially a system of selective public education premised on the assumption that an educated minority of the population were, by virtue of their education (and inborn educability), sufficient for healthy governance. Plato's writings contain some of the following ideas: Elementary education would be confined to the guardian class till the age of 18, followed by two years of compulsory military training and then by higher education for those who qualified. While elementary education made the soul responsive to the environment, higher education helped the soul to search for truth which illuminated it. Both boys and girls receive the same kind of education. Elementary education consisted of music and gymnastics, designed to train and blend gentle and fierce qualities in the individual and create a harmonious person. In the medieval Islamic world, an elementary school was known as a maktab, which dates back to at least the 10th century. Like madrasahs (which referred to higher education), a maktab was often attached to a mosque. In the 11th century, Ibn Sina (known as Avicenna in the West), wrote a chapter dealing with the maktab entitled "The Role of the Teacher in the Training and Upbringing of Children", as a guide to teachers working at maktab schools. He wrote that children can learn better if taught in classes instead of individual tuition from private tutors, and he gave a number of reasons for why this is the case, citing the value of competition and emulation among pupils as well as the usefulness of group discussions and debates. Ibn Sina described the curriculum of a maktab school in some detail, describing the curricula for two stages of education in a maktab school. Ibn Sina wrote that children should be sent to a maktab school from the age of 6 and be taught primary education until they reach the age of 14. During which time, he wrote that they should be taught the Qur'an, Islamic metaphysics, language, literature, Islamic ethics, and manual skills (which could refer to a variety of practical skills). Ibn Sina refers to the secondary education stage of maktab schooling as the period of specialization, when pupils should begin to acquire manual skills, regardless of their social status. He writes that children after the age of 14 should be given a choice to choose and specialize in subjects they have an interest in, whether it was reading, manual skills, literature, preaching, medicine, geometry, trade and commerce, craftsmanship, or any other subject or profession they would be interested in pursuing for a future career. He wrote that this was a transitional stage and that there needs to be flexibility regarding the age in which pupils graduate, as the student's emotional development and chosen subjects need to be taken into account. The empiricist theory of 'tabula rasa' was also developed by Ibn Sina. He argued that the "human intellect at birth is rather like a tabula rasa, a pure potentiality that is actualized through education and comes to know" and that knowledge is attained through "empirical familiarity with objects in this world from which one abstracts universal concepts" which is developed through a "syllogistic method of reasoning; observations lead to prepositional statements, which when compounded lead to further abstract concepts." He further argued that the intellect itself "possesses levels of development from the material intellect (al-‘aql al-hayulani), that potentiality that can acquire knowledge to the active intellect (al-‘aql al-fa‘il), the state of the human intellect in conjunction with the perfect source of knowledge." In the 12th century, the Andalusian-Arabian philosopher and novelist Ibn Tufail (known as "Abubacer" or "Ebn Tophail" in the West) demonstrated the empiricist theory of 'tabula rasa' as a thought experiment through his Arabic philosophical novel, Hayy ibn Yaqzan, in which he depicted the development of the mind of a feral child "from a tabula rasa to that of an adult, in complete isolation from society" on a desert island, through experience alone. Some scholars have argued that the Latin translation of his philosophical novel, Philosophus Autodidactus, published by Edward Pococke the Younger in 1671, had an influence on John Locke's formulation of tabula rasa in "An Essay Concerning Human Understanding". Locke also wrote that "the little and almost insensible impressions on our tender infancies have very important and lasting consequences." He argued that the "associations of ideas" that one makes when young are more important than those made later because they are the foundation of the self: they are, put differently, what first mark the tabula rasa. In his Essay, in which is introduced both of these concepts, Locke warns against, for example, letting "a foolish maid" convince a child that "goblins and sprites" are associated with the night for "darkness shall ever afterwards bring with it those frightful ideas, and they shall be so joined, that he can no more bear the one than the other." "Associationism", as this theory would come to be called, exerted a powerful influence over eighteenth-century thought, particularly educational theory, as nearly every educational writer warned parents not to allow their children to develop negative associations. It also led to the development of psychology and other new disciplines with David Hartley's attempt to discover a biological mechanism for associationism in his Observations on Man (1749). Rousseau, though he paid his respects to Plato's philosophy, rejected it as impractical due to the decayed state of society. 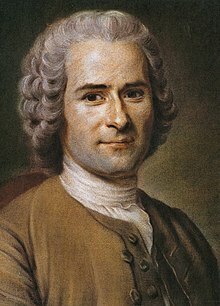 Rousseau also had a different theory of human development; where Plato held that people are born with skills appropriate to different castes (though he did not regard these skills as being inherited), Rousseau held that there was one developmental process common to all humans. This was an intrinsic, natural process, of which the primary behavioral manifestation was curiosity. This differed from Locke's 'tabula rasa' in that it was an active process deriving from the child's nature, which drove the child to learn and adapt to its surroundings. Mortimer Jerome Adler was an American philosopher, educator, and popular author. 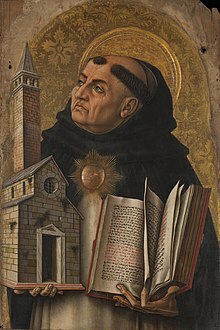 As a philosopher he worked within the Aristotelian and Thomistic traditions. He lived for the longest stretches in New York City, Chicago, San Francisco, and San Mateo, California. He worked for Columbia University, the University of Chicago, Encyclopædia Britannica, and Adler's own Institute for Philosophical Research. Adler was married twice and had four children. Adler was a proponent of educational perennialism. In Democracy and Education: An Introduction to the Philosophy of Education, Dewey stated that education, in its broadest sense, is the means of the "social continuity of life" given the "primary ineluctable facts of the birth and death of each one of the constituent members in a social group". Education is therefore a necessity, for "the life of the group goes on." Dewey was a proponent of Educational Progressivism and was a relentless campaigner for reform of education, pointing out that the authoritarian, strict, pre-ordained knowledge approach of modern traditional education was too concerned with delivering knowledge, and not enough with understanding students' actual experiences. William Heard Kilpatrick was a US American philosopher of education and a colleague and a successor of John Dewey. He was a major figure in the progressive education movement of the early 20th century. Kilpatrick developed the Project Method for early childhood education, which was a form of Progressive Education organized curriculum and classroom activities around a subject's central theme. He believed that the role of a teacher should be that of a "guide" as opposed to an authoritarian figure. Kilpatrick believed that children should direct their own learning according to their interests and should be allowed to explore their environment, experiencing their learning through the natural senses. Proponents of Progressive Education and the Project Method reject traditional schooling that focuses on memorization, rote learning, strictly organized classrooms (desks in rows; students always seated), and typical forms of assessment. Noddings' first sole-authored book Caring: A Feminine Approach to Ethics and Moral Education (1984) followed close on the 1982 publication of Carol Gilligan’s ground-breaking work in the ethics of care In a Different Voice. While her work on ethics continued, with the publication of Women and Evil (1989) and later works on moral education, most of her later publications have been on the philosophy of education and educational theory. Her most significant works in these areas have been Educating for Intelligent Belief or Unbelief (1993) and Philosophy of Education (1995). Noddings' contribution to education philosophy centers around the ethic of care. Her belief was that a caring teacher-student relationship will result in the teacher designing a differentiated curriculum for each student, and that this curriculum would be based around the students' particular interests and needs. The teacher's claim to care must not be based on a one time virtuous decision but an ongoing interest in the students' welfare. A Brazilian philosopher and educator committed to the cause of educating the impoverished peasants of his nation and collaborating with them in the pursuit of their liberation from what he regarded as "oppression," Freire is best known for his attack on what he called the "banking concept of education," in which the student was viewed as an empty account to be filled by the teacher. Freire also suggests that a deep reciprocity be inserted into our notions of teacher and student; he comes close to suggesting that the teacher-student dichotomy be completely abolished, instead promoting the roles of the participants in the classroom as the teacher-student (a teacher who learns) and the student-teacher (a learner who teaches). In its early, strong form this kind of classroom has sometimes been criticized[by whom?] on the grounds that it can mask rather than overcome the teacher's authority. Aspects of the Freirian philosophy have been highly influential in academic debates over "participatory development" and development more generally. Freire's emphasis on what he describes as "emancipation" through interactive participation has been used as a rationale for the participatory focus of development, as it is held that 'participation' in any form can lead to empowerment of poor or marginalised groups. Freire was a proponent of critical pedagogy. "He participated in the import of European doctrines and ideas into Brazil, assimilated them to the needs of a specific socio-economic situation, and thus expanded and refocused them in a thought-provoking way"
Bloom, a professor of political science at the University of Chicago, argued for a traditional Great Books-based liberal education in his lengthy essay The Closing of the American Mind. An essentialist program normally teaches children progressively, from less complex skills to more complex. The "back to basics" movement is an example of essentialism. William Chandler Bagley taught in elementary schools before becoming a professor of education at the University of Illinois, where he served as the Director of the School of Education from 1908 until 1917. He was a professor of education at Teachers College, Columbia, from 1917 to 1940. An opponent of pragmatism and progressive education, Bagley insisted on the value of knowledge for its own sake, not merely as an instrument, and he criticized his colleagues for their failure to emphasize systematic study of academic subjects. Bagley was a proponent of educational essentialism. Critical pedagogy is an "educational movement, guided by passion and principle, to help students develop consciousness of freedom, recognize authoritarian tendencies, and connect knowledge to power and the ability to take constructive action." Based in Marxist theory, critical pedagogy draws on radical democracy, anarchism, feminism, and other movements for social justice. Steiner founded a holistic educational impulse on the basis of his spiritual philosophy (anthroposophy). Now known as Steiner or Waldorf education, his pedagogy emphasizes a balanced development of cognitive, affective/artistic, and practical skills (head, heart, and hands). Schools are normally self-administered by faculty; emphasis is placed upon giving individual teachers the freedom to develop creative methods. Neill founded Summerhill School, the oldest existing democratic school in Suffolk, England in 1921. He wrote a number of books that now define much of contemporary democratic education philosophy. Neill believed that the happiness of the child should be the paramount consideration in decisions about the child's upbringing, and that this happiness grew from a sense of personal freedom. He felt that deprivation of this sense of freedom during childhood, and the consequent unhappiness experienced by the repressed child, was responsible for many of the psychological disorders of adulthood. Educational progressivism is the belief that education must be based on the principle that humans are social animals who learn best in real-life activities with other people. Progressivists, like proponents of most educational theories, claim to rely on the best available scientific theories of learning. Most progressive educators believe that children learn as if they were scientists, following a process similar to John Dewey's model of learning known as "the pattern of inquiry": 1) Become aware of the problem. 2) Define the problem. 3) Propose hypotheses to solve it. 4) Evaluate the consequences of the hypotheses from one's past experience. 5) Test the likeliest solution. 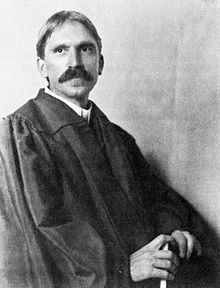 In 1896, Dewey opened the Laboratory School at the University of Chicago in an institutional effort to pursue together rather than apart "utility and culture, absorption and expression, theory and practice, [which] are [indispensable] elements in any educational scheme. As the unified head of the departments of Philosophy, Psychology and Pedagogy, John Dewey articulated a desire to organize an educational experience where children could be more creative than the best of progressive models of his day. Transactionalism as a pragmatic philosophy grew out of the work he did in the Laboratory School. The two most influential works that stemmed from his research and study were The Child and the Curriculum (1902) and Democracy and Education (1916). Dewey wrote of the dualisms that plagued educational philosophy in the latter book: "Instead of seeing the educative process steadily and as a whole, we see conflicting terms. We get the case of the child vs. the curriculum; of the individual nature vs. social culture." Dewey found that the preoccupation with facts as knowledge in the educative process led students to memorize "ill-understood rules and principles" and while second-hand knowledge learned in mere words is a beginning in study, mere words can never replace the ability to organize knowledge into both useful and valuable experience. Jean Piaget was a Swiss developmental psychologist known for his epistemological studies with children. His theory of cognitive development and epistemological view are together called "genetic epistemology". Piaget placed great importance on the education of children. As the Director of the International Bureau of Education, he declared in 1934 that "only education is capable of saving our societies from possible collapse, whether violent, or gradual." Piaget created the International Centre for Genetic Epistemology in Geneva in 1955 and directed it until 1980. According to Ernst von Glasersfeld, Jean Piaget is "the great pioneer of the constructivist theory of knowing." Another important contributor to the inquiry method in education is Bruner. His books The Process of Education and Toward a Theory of Instruction are landmarks in conceptualizing learning and curriculum development. He argued that any subject can be taught in some intellectually honest form to any child at any stage of development. This notion was an underpinning for his concept of the "spiral" (helical) curriculum which posited the idea that a curriculum should revisit basic ideas, building on them until the student had grasped the full formal concept. He emphasized intuition as a neglected but essential feature of productive thinking. He felt that interest in the material being learned was the best stimulus for learning rather than external motivation such as grades. Bruner developed the concept of discovery learning which promoted learning as a process of constructing new ideas based on current or past knowledge. Students are encouraged to discover facts and relationships and continually build on what they already know. Unschooling is a range of educational philosophies and practices centered on allowing children to learn through their natural life experiences, including child directed play, game play, household responsibilities, work experience, and social interaction, rather than through a more traditional school curriculum. Unschooling encourages exploration of activities led by the children themselves, facilitated by the adults. Unschooling differs from conventional schooling principally in the thesis that standard curricula and conventional grading methods, as well as other features of traditional schooling, are counterproductive to the goal of maximizing the education of each child. In 1964 Holt published his first book, How Children Fail, asserting that the academic failure of schoolchildren was not despite the efforts of the schools, but actually because of the schools. Not surprisingly, How Children Fail ignited a firestorm of controversy. Holt was catapulted into the American national consciousness to the extent that he made appearances on major TV talk shows, wrote book reviews for Life magazine, and was a guest on the To Tell The Truth TV game show. In his follow-up work, How Children Learn, published in 1967, Holt tried to elucidate the learning process of children and why he believed school short circuits that process. Contemplative education focuses on bringing introspective practices such as mindfulness and yoga into curricular and pedagogical processes for diverse aims grounded in secular, spiritual, religious and post-secular perspectives. Contemplative approaches may be used in the classroom, especially in tertiary or (often in modified form) in secondary education. Parker Palmer is a recent pioneer in contemplative methods. The Center for Contemplative Mind in Society founded a branch focusing on education, The Association for Contemplative Mind in Higher Education. Contemplative methods may also be used by teachers in their preparation; Waldorf education was one of the pioneers of the latter approach. In this case, inspiration for enriching the content, format, or teaching methods may be sought through various practices, such as consciously reviewing the previous day's activities; actively holding the students in consciousness; and contemplating inspiring pedagogical texts. Zigler suggested that only through focusing on their own spiritual development could teachers positively impact the spiritual development of students. International Network of Philosophers of Education Worldwide INPE is dedicated to fostering dialogue amongst philosophers of education around the world. It sponsors an international conference every other year. Philosophy of Education Society USA PES is the national society for philosophy of education in the United States of America. This site provides information about PES, its services, history, and publications, and links to online resources relevant to the philosophy of education. Philosophy of Education Society of Great Britain UK PESGB promotes the study, teaching and application of philosophy of education. It has an international membership. The site provides: a guide to the Society's activities and details about the Journal of Philosophy of Education and IMPACT. Canadian Philosophy of Education Society Canada CPES is devoted to philosophical inquiry into educational issues and their relevance for developing educative, caring, and just teachers, schools, and communities. The society welcomes inquiries about membership from professionals and graduate students who share these interests. The Nordic Society for Philosophy of Education The Nordic countries: Denmark, Finland, Iceland, Norway, and Sweden The Nordic Society for Philosophy of Education is a society consisting of Nordic philosophers of education with the purpose of fostering dialogue among philosophers of education within and beyond the Nordic countries, and to coordinate, facilitate and support exchange of ideas, information and experiences. Society for the Philosophical Study of Education USA This Society is a professional association of philosophers of education which holds annual meetings in the Midwest region of the United States of America and sponsors a discussion forum and a Graduate Student Competition. Affiliate of the American Philosophical Association. Ohio Valley Philosophy of Education Society USA, Ohio Valley OVPES is a professional association of philosophers of education. We host an annual conference in the Ohio Valley region of the United States of America and sponsor a refereed journal: Philosophical Studies in Education. John Dewey Society USA The John Dewey Society exists to keep alive John Dewey's commitment to the use of critical and reflective intelligence in the search for solutions to crucial problems in education and culture. StudyPlace for Philosophy of Education USA, Columbia University This study place exists for persons who wish to engage in philosophy and education because both have value for them, quite apart from their professional responsibilities. We think networked digital information resources will enable people to reverse this ever-narrowing professionalism. This site is maintained at the Institute for Learning Technologies, Teachers College, Columbia University. Center for Dewey Studies USA, Southern Illinois University The Center for Dewey Studies at Southern Illinois University at Carbondale was established in 1961 as the "Dewey Project." By virtue of its publications and research, the Center has become the international focal point for research on John Dewey's life and work. International Society for Philosophy of Music Education Unknown the International Society for the Philosophy of Music Education (ISPME) is founded on both educational and professional objectives: "devoted to the specific interests of philosophy of music education in elementary through secondary schools, colleges and universities, in private studios, places of worship, and all the other places and ways in which music is taught and learned." The Spencer Foundation USA The Spencer Foundation provides funding for investigations that promise to yield new knowledge about education in the United States or abroad. The Foundation funds research grants that range in size from smaller grants that can be completed within a year, to larger, multi-year endeavours. Humanities Research Network New Zealand The Humanities Research Network is designed to encourage new ways of thinking about the overlapping domains of knowledge which are represented by the arts, humanities, social sciences, other related fields like law, and matauranga Māori, and new relationships among their practitioners. Latin American Philosophy of Education Society The Americas LAPES seeks to introduce to a wide United States audience knowledge about Latin American philosophies and theories of education by providing scholars, students and practicing teachers opportunities to study in collaborative fashion the diverse collection of philosophical and theoretical works on education produced in Latin America. ^ Phillips, Trevor J. (2017-03-18). "Ch. III: Transactionalism in Contemporary Philosophy and Ch. V: The Educative Process". In Tibbels, Kirkland; Patterson, John. Transactionalism: An Historical and Interpretive Study. Independently published. pp. 163–205. ISBN 9781520829319. ^ "Philosophy and Education". Teachers College - Columbia University. Retrieved 2017-04-29. ^ "Philosophy of Education - Courses - NYU Steinhardt". steinhardt.nyu.edu. Retrieved 2017-04-29. ^ "Doctor of Philosophy in Education". Harvard Graduate School of Education. Retrieved 2017-04-29. ^ "Plato and Aristotle: An Introduction to Greek Philosophy | The Art of Manliness". The Art of Manliness. 2010-02-04. Retrieved 2018-06-27. ^ "Plato: Phaedo | Internet Encyclopedia of Philosophy". www.iep.utm.edu. Retrieved 2017-04-29. ^ "The Internet Classics Archive | Phaedo by Plato". classics.mit.edu. Retrieved 2017-04-29. ^ Locke, John (1764). Locke's Conduct of the understanding; edited with introd., notes, etc. by Thomas Fowler. Oxford: Clarendon Press. p. 44. ^ Locke, John (1764). Locke's Conduct of the understanding; edited with introd., notes, etc. by Thomas Fowler. Oxford: Clarendon Press. pp. 44–45. ^ Locke, John. Some Thoughts Concerning Education and Of the Conduct of the Understanding. Eds. 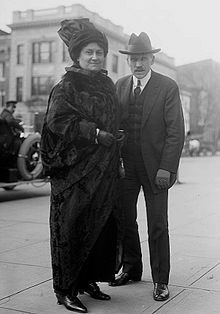 Ruth W. Grant and Nathan Tarcov. Indianapolis: Hackett Publishing Co., Inc. (1996), p. 10. ^ "Philosophy of Education: Theorists". Turtola's CyberEnglish Blog. 2011-03-28. Retrieved 2018-06-27. ^ "Jean-Jacques Rousseau on Sophy's Education | Chapter 5: Learning Personalities | New Learning | New Learning". newlearningonline.com. Retrieved 2018-06-27. ^ K., Novello, Mary (1999-09-07). "Jean-Jacques Rousseau, Father of Government Schools". www.leeds.ac.uk. Retrieved 2018-06-27. ^ "Sophie: Woman's Education According". rousseaustudies.free.fr. Retrieved 2018-06-27. ^ "Stanford Encyclopedia of Philosophy". Retrieved 22 December 2008. ^ Neil, J. (2005) John Dewey, the Modern Father of Experiential Education. Wilderdom.com. Retrieved 6/12/07. ^ "Existentialism - By Branch / Doctrine - The Basics of Philosophy". www.philosophybasics.com. Retrieved 2018-06-27. ^ Glavin, Chris (2014-02-06). "Normative Theories of Education | K12 Academics". www.k12academics.com. Retrieved 2019-02-13. ^ Dewey, John (1938). Logic, the theory of inquiry. New York, H. Holt and Company. ^ "Full text of "The Dewey School The Laboratory School Of The University Of Chicago 1896-1903"". www.archive.org. Retrieved 2017-06-17. ^ Phillips, Trevor J. (2015-11-22). Tibbels, Kirkland; Patterson, John, eds. Transactionalism: An Historical and Interpretive Study (2 ed.). Influence Ecology. p. 166. ^ Phillips, Trevor J. (2015-11-22). Tibbels, Kirkland; Patterson, John, eds. Transactionalism: An Historical and Interpretive Study (2 ed.). Influence Ecology. p. 167. ^ Phillips, Trevor J. (2015-11-22). Tibbels, Kirkland; Patterson, John, eds. Transactionalism: An Historical and Interpretive Study (2 ed.). Influence Ecology. pp. 171–2. ^ "International Bureau of Education - Directors" <http://search.eb.com/eb/article-9059885>. Munari, Alberto (1994). "JEAN PIAGET (1896–1980)" (PDF). Prospects: the quarterly review of comparative education. XXIV (1/2): 311–327. doi:10.1007/bf02199023. ^ Lewin, David (2016). Educational philosophy for a post-secular age. ^ "ISPME Home". Retrieved 12 November 2010. This page was last edited on 29 March 2019, at 12:28 (UTC).